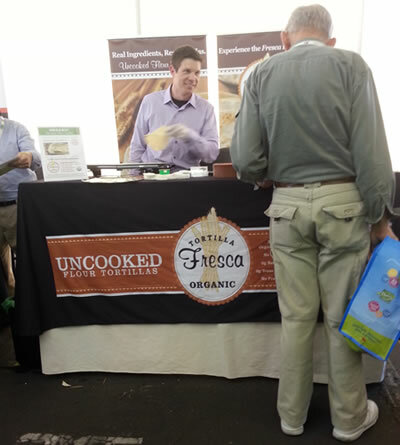 Our director of sales (Ryan Trotter) demonstrating our Tortilla Fresca® Organic tortillas at the Fresh Ideas Natural Food show yesterday. 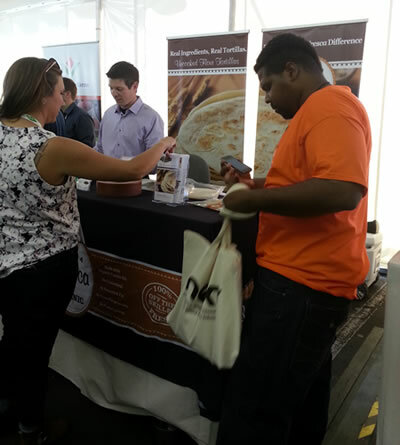 Thursday was all about organic products. Franco Whole Foods had a booth set up for this event.